Analyse your data using analysis software provided by Jupyter notebooks in the HBP Collaboratory. Explore and analyse data interactively with atlas-embedded tools like JuGEx. Download data to your local machine(s) to analyse with one of many HBP-supported analysis software packages. The HBP Collaboratory is divided into collaborative workspaces or collabs which helps you share your analyses and collaborate with others on data driven, reproducible scientific workflows. The collaboratory collects tools from the HBP Platforms in one place. 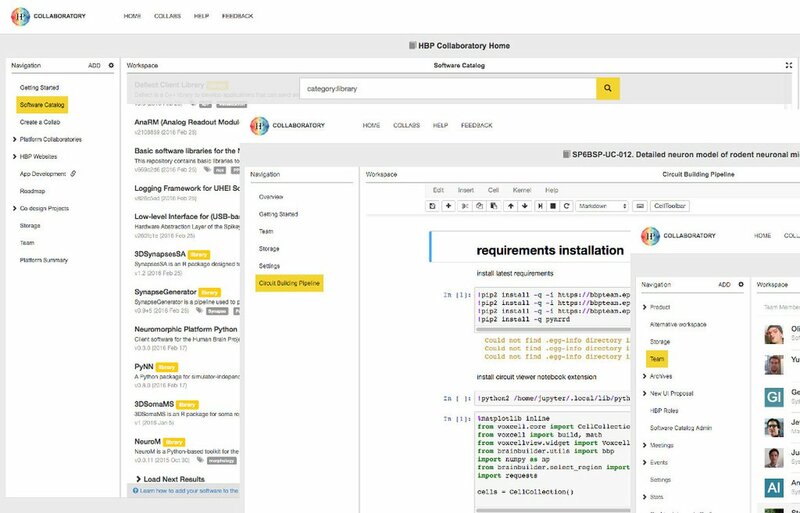 Additionally, numerous standard analysis packages are installed by default into the Collaboratory Jupyter notebook, making your scientific work easier. See the growing list of software packages and services registered here. JuGEx is an integrated framework of the AllenBrain and JuBrain atlases for statistical analysis of differential gene expression in the adult human brain. Decoding the chain from genes to cognition requires detailed insights into how areas with specific gene activities and microanatomical architectures contribute to brain function and dysfunction. The Allen Human Brain Atlas contains regional gene expression data, while the JuBrain Atlas offers three-dimensional cytoarchitectonic maps reflecting inter-individual variability. To date, an integrated framework that combines the analytical benefits of both scientific platforms towards a multi-level brain atlas of adult humans was not available. We have therefore developed JuGEx, a new method for integrating tissue transcriptome and cytoarchitectonic segregation. Navigate to your favourite brain region and inspect brain morphology in standard planes of orientation. Open access volumetric atlas offering comprehensive anatomical delineations of the rat brain. ilastik is a simple, user-friendly tool for interactive image classification, segmentation and analysis. 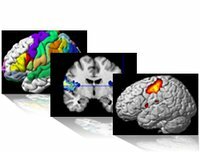 SPM anatomy toolbox allows combining probabilistic cytoarchitectonic maps and functional imaging data. Elephant (Electrophysiology Analysis Toolkit) is a toolbox for the analysis of electrophysiological data based on the Neo framework.